After revealing all the new changes its Outlook mobile app will get in the coming weeks, Microsoft delivered the first update aimed at Android users. None of the new features and improvements included in this update have been previously mentioned, so it's a bit of a nice surprise. Among the most important changes, the addition of a new simplified navigation bar with Search front and center is probably going to appeal to many Outlook users. Then, Android users will now have direct access to top contacts, upcoming travel itineraries, package deliveries and recent attachments right from the Search tab. But that's not entirely all that's been added in the update. 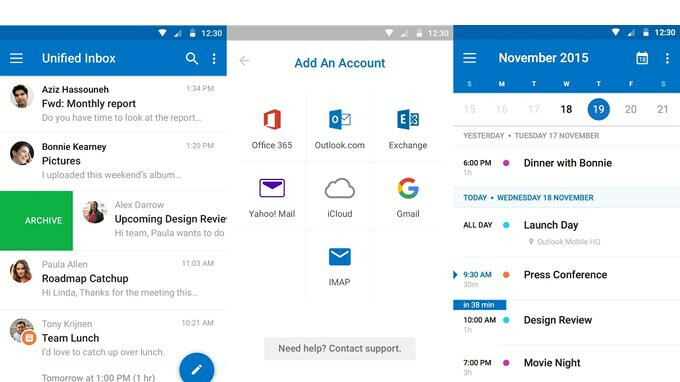 Microsoft's Outlook app now features contacts and files integrated directly into the whole experience. Last but not least, Android users will be able to search for emails and contacts from a single search box after applying the latest update. Keep in mind that all the changes mentioned above will be rolled out over the next few weeks, so be patient if you don't see any updates available in the Google Play Store yet.